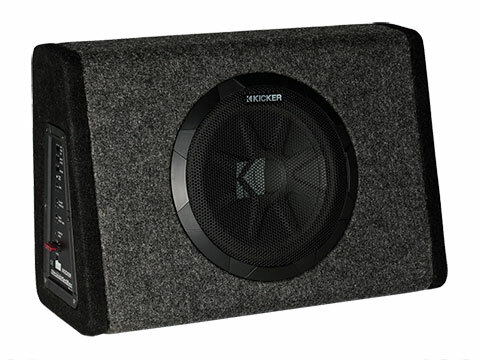 KICKER® has developed and perfected a smart, integrated solution for adding legendary but versatile KICKER bass to any vehicle’s audio system. 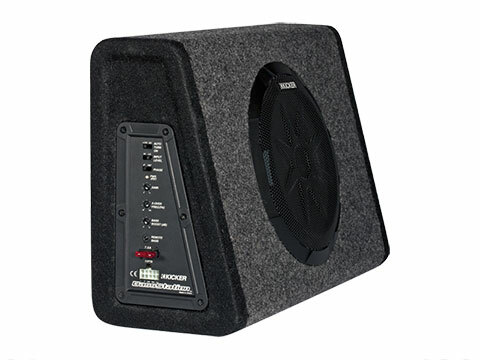 KICKER BassStation™ Powered Subwoofers combine subs, enclosures and amplifiers in a specifically designed application for optimal bass performance. 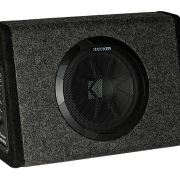 With a heavy-duty subwoofer, tough enclosure and digital amplifier operating together as one, the end result is intense. Features a quick-connect Molex power, signal and remote turn-on harness/plug for simple set-up or removal. 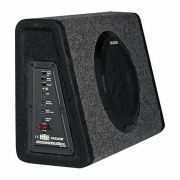 Once installed, nylon straps with Velcro® help secure the BassStation in place. When hauling space is needed, the enclosure is simply removed by disconnecting the plug and loosening the straps. Upgrade Your Audio – EASY! The BassStation comes with a remote bass control, adjustable low-pass crossover, subsonic filter, variable +6dB bass boost, phase cancelling switch for max bass output and two automatic turn-on options. It also features high- and low-level inputs for integration with nearly any factory or aftermarket head unit.